I think that a stag's head makes a perfect masculine Christmas card and I had fun with this one. I stamped the background with the cut tree trunk rings in light brown. I die cut a plain white oval on which I adhered the stag's head. I die cut it from some lovely plaid design paper. 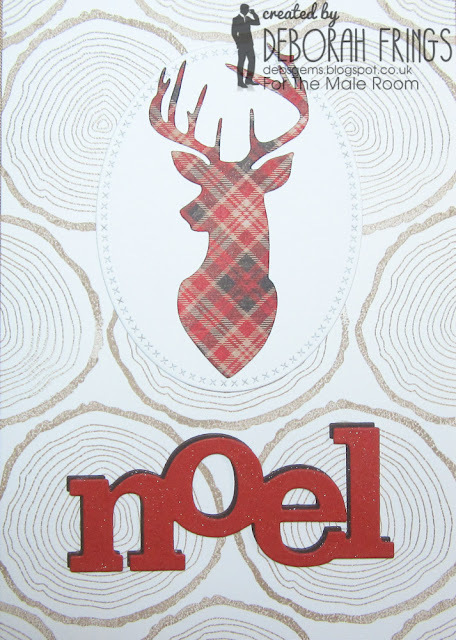 I made the word "noel" with three die cuts - one in dark brown and the other two in Cajun Craze. I adhered the dark brown slightly offset to create a drop shadow effect. I finished the front with a light dusting of clear Wink of Stella on the word noel. On the inside I cut mat layer of the plaid paper and on the white panel added a greeting, another stag's head and some birds. I'm really pleased how this one turned out. 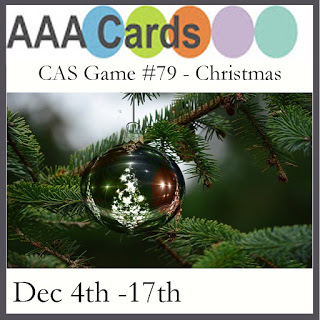 I'm going to submit this to AAA Cards - AAA#79 where the theme is CHRISTMAS, although it might not be CAS enough for them! For more inspiration do visit our blog to see more from the Design Team. 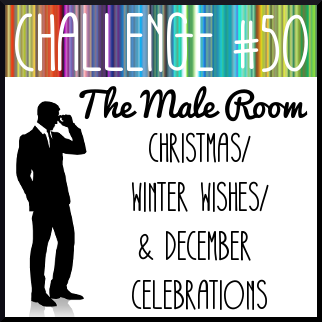 This challenge has an extended deadline to allow for the fact that most of us are very busy this month, and also to allow you to keep any special cards hidden until after 25th December. 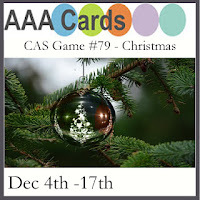 Submission deadline is midnight (GMT) on Saturday 31st December - that's 7.00pm EST for those in the States. Have fun!! 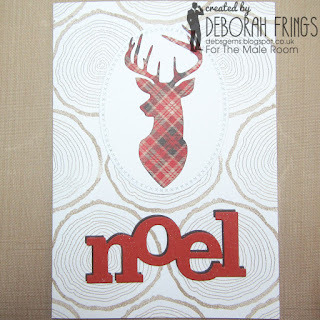 I LOVE this card, fabulous plaid reindeer and the wood background and then the layered noel. I love this tartan Christmas stag, very masculine, but so pretty too! What a beautiful Christmas cards you made :-)) I like your karo paper. I love the tartan, a great way to make a stag head really masculine. Great card! I always have trouble with masculine cards - you did a wonderful job. Thanks for playing along at AAA Cards! 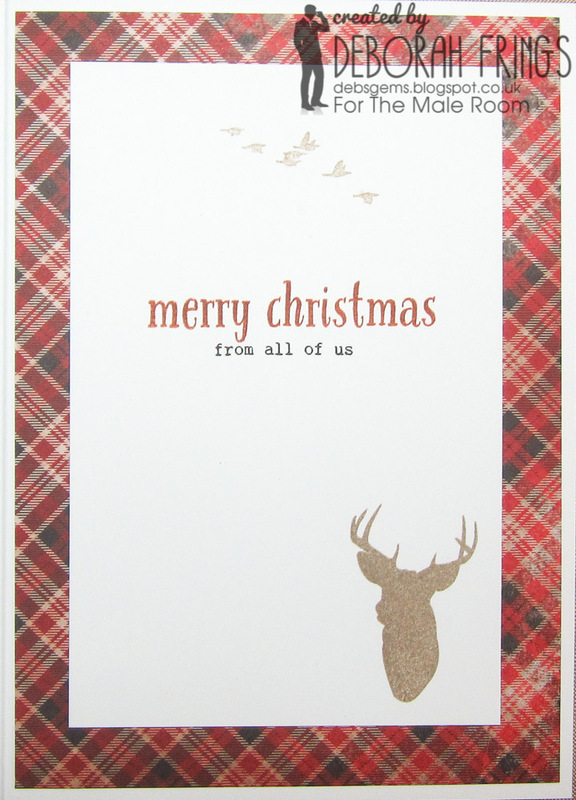 Love how your stag looks in plaid!